As the two root parts of “intermodal” (“inter” and “mode”) suggest, the shipping refers to combining transportation methods. 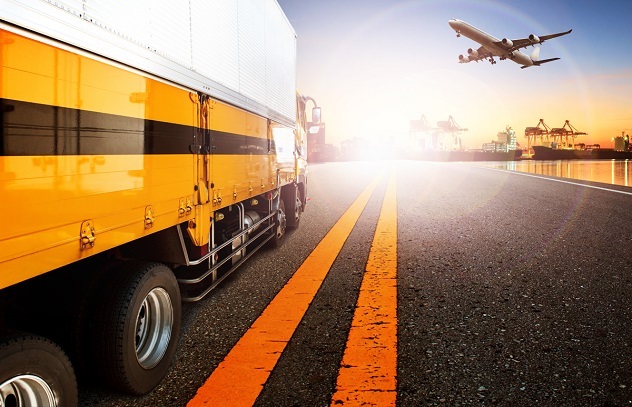 Transferring goods by ship, train, and truck — as opposed to strictly truck — has myriad benefits worthy of consideration. All shipments from overseas are intermodal by definition, because it will take multiple shipment methods to transport the goods from the point of pickup to delivery. When shipping goods from overseas, carriers must either select plane or boat to transport the load to the landmass ultimately receiving its delivery. Aside from being very expensive for even parcel-sized packages, air shipping is almost never used in the transportation of freight because there is simply not enough space. A large shipment would take a fleet of planes to carry goods across an ocean, whereas one cargo ship can transport a multitude of full containers. Even when shipping goods within the same country, continent, or region, many companies opt to combine forces of trucks and rail shipping. More and more shippers are opting for the benefits of intermodal shipping. Intermodal shipping comes with a unique set of pros and cons. The primary strike against intermodal shipping is that it takes longer and is less flexible than full truckload or partial truckload shipping. This makes sense considering trains can not change routes the same way truck drivers can. Because intermodal transportation involves the overlap of many containers en route to various endpoints, it is imperative that the trains and trucks run on time. This doesn’t allow shippers the same flexibility they would have if they paid for a full truckload shipment and had control over the pickup time, location, and any changes to route along the journey. However, what intermodal shipping lacks in flexibility and timeliness, it makes up for in significant cost savings, better predictability, increased cargo security, reduced carbon emissions, and more predictability. Less Variable: While you will have to plan for a longer lead time between shipment and receipt of your cargo, the timing of arrival using intermodal transportation tends to be very reliable. Unlike trucks, rail shipments are far less susceptible to mistakes of human error (getting lost, traffic accidents) & problems caused by the elements (storms, traffic). Don’t hesitate to get in touch with our third party logistics experts to request an intermodal shipping quote or with any questions — big or small. Our world is becoming progressively more technology-driven, no doubt about it. From smartphones taking over the cellphone market to Tesla’s self-driving cars, the future is now. However, logistics and transportation is projected to retain the human element in management…at least until those self-driving cars and trucks are perfected. While industry-specific knowledge is always a sure-fire way to keep up with your industry and put your best foot forward for your company, so it is not sufficient to excel at effective logistics. Read on for the 5 must-have skills you should focus on developing – in yourself and your employees. Transparency comes in several forms, all of which are paramount to ensuring a logistics company or department functions as efficiently as a well-oiled machine. Intracompany transparency is essential to effective logistics because it gets all your employees from new-hires to C-suite executives on the same page. There are more minds working on solutions to problems or improvements to processes. And when members of your company feel valued and respected, they will be comfortable sharing ideas. Even kernel of an innovative idea can be built upon and keep your company at the head of the curve, with your competitors chasing you. Transparency between your employees and those outside the company (i.e. clients and vendors) are just as important. Be honest with your customers about timelines and price quotes you can hit. As tempting as it may be to make promises upfront to secure new business, the deal and relationship are bound to suffer once they realize you promised something you can’t deliver. On many levels, transparency is synonymous with integrity. Businesses can be successful without integrity in the short term, but the way to build an empire is through integrity. When all stakeholders feel valued and satisfied, you will retain customers and employees, and attract more customers through referrals and top-notch talent as word of your company’s positive culture spreads. Every logistics company is familiar with the concept of Six Sigma, and with good reason. Effective logistics means putting the customer first and objectively and statistically analyzing processes to reduce bottlenecks and foster innovation. Six Sigma encourages exactly those aforementioned attributes. Focus on quality means a never-ending pursuit of improvements to customer satisfaction and business processes. Just because you have achieved quality does not mean it is time to be complacent. Nor should quality mean remaining rooted in antiquated ways. “Tried-and-true” is a good starting point, but the most effective logistics companies succeed by integrating new technology into their innovation. Some specific areas of development to focus on improving are shortening the logistics cycle, reducing gaps in quality control, identifying and improving bottlenecks, etc. Be sure to gather feedback from customers and coworkers about what your company can improve. People will be flattered you are seeking their opinion, and when done in the spirit of constructive critiquing, are likely to contribute valuable ideas previously unthought of. The short-term risk of criticism is well worth the long-term benefits of changes that can improve your entire firm. Just because effective logistics will retain a human element into the foreseeable future doesn’t mean technology can’t or shouldn’t be used to supplement management. Virtually every industry today is touched by technology, and almost every business could be improved with technological augmentation. Logistics efficiency is no exception. IT professionals and data analysts can add great value to logistics companies, especially when they know how to capitalize on tracking tools and industry-specific software. Just as it’s important to keep a critical eye on ways to improve your logistics via processes and customer satisfaction, personal knowledge-gains are key to unlocking efficiency potential. Logistics professionals can subscribe to everything from trade magazines to supply chain and logistics podcasts. At the speed the world innovates, and it’s important to regularly keep abreast of happenings in your professional circle. The more you know about what other companies and cohorts are doing. The more inspiration you’ll absorb to innovate within your company and for your clients. When you gather feedback from customers and coworkers, inquire about how you can improve as a logistics manager, as well. When people like working with you, it makes every process smoother and more enjoyable. In conclusion, effective logistics skills are a lot like those skills you would find in any invaluable employee. Interweave exceptional social skills and emotional intelligence with technological innovation and open and honest communication to improve your logistics efficiency and make yourself an indispensable employee. If you think parcel shipment companies like UPS and FedEx have you and/or your company’s best interests at heart, think again. Regardless of how much your shipping — from one parcel to 1,000 pallets — carrier companies are charging ever more to get your goods from point A to point B. This trend doesn’t look to be changing, or even slowing down, anytime soon. While UPS and FedEx have been blazing this unfortunate trail, other large shipment companies have been quietly following in their footsteps. Some such carrier companies specialize in B2B shipments, so don’t think your company is an exception to the price-increase rule. Keep in mind that there are things we at Prestige can do to combat and offset these price increases. As a third party logistics firm (3PL), we have the bargaining power consumers and even large, individual companies do not. No company outside the logistics industry, no matter how powerful or wealthy, can compare to the volume of goods we broker shipment for. Therefore, no single company can compete with the shipping costs we can get your business. Without further ado, here is a smattering of the specifics and freight trends of cost increases in the carrier industry in the past 5 years. 1. UPS’s parcel shipment rates have gone up 60% in the last 10 years. 2. UPS’s operating profit growth for its US division outperformed the US economy by 7.55% last year, making the relative price increases of shipping even more impactful than a straight dollar amount. 3. When measuring a package for shipment, UPS and FedEx do so two ways. They weigh (mass) and laser scan (dimensions, cubic feet) the packages and charge customers the higher of the two. 4. Based on this change, 90% of customers have noticed an increase in shipping prices. Of that 90%, nearly half have noticed an inflated price of 10%+. 5. Price-ceiling boxes are a thing of the past with dimensional laser scanners at work. Cramming an object into a box that creates a bulge will be upcharged, as the laser will take the protruding into account. 6. Carriers have long had “additional handling fees” for parcels that exceed a certain dimension at its longest point. Up until last year, that length was 48” for a price of $9.00. Summer 2016 saw an increase in charge to $10.40. Now, the maximum length before a penalty is incurred is 36 inches. This is down 25% from last year’s 48 inches. UPS and FedEx have hiked their prices up 8 and 7 times, respectively, in the last 18 months, and are likely to continue this uptick trend into the future. As previously mentioned, these freight trends are not limited to B2C or C2C small parcel shipment companies. Corporate shippers are following suit, which means your company’s bottom line is taking a hit. But it doesn’t have to be that way. Stand up against bullying in the shipping industry, and contact a 3PL like Prestige today for a free, custom consultation. We’ll work with your company’s specific products and challenges to recommend ways to reduce your shipping expenditure and provide you a cost quote that is sure to significantly undercut the other guys. We at Prestige always recommend hiring a third party logistics (3PL) broker to handle your company’s shipping needs for myriad reasons. However, we understand there are companies hoping to learn more about the freight industry, or those who simply may not be ready to make the transition to 3PL; this article is for you. Read on for a breakdown of the differences between less than truckload (LTL) and truckload (TL) freight. Every business needs to get its goods from point A to B at some point in their business model. Whether from a wholesaler, to distributors, or directly drop-shipped to customers’ doorsteps, it’s inescapable for any business that is not in the service industry. Many factors are weighed in freight shipping (pun intended). Aside from the weight of your goods, dimensions (length x width x height) play a role. Selecting the classification for your freight is another element that can save or lose you bundles of cash. Selecting between less than truckload and truckload shipping is deceptively complex. Yes, the classification ultimately depends on whether your goods (either by size or weight) take up an entire truck or trailer. But where is the cutoff? Is it the same for all trucks? And are there situations where, although your items qualify for LTL shipping, you still might want to opt for TL? LTL shipping is a cost-effective way to transport goods, because a number of shippers are able to purchase space on the truck in proportion to the space they are taking up. The general rule of thumb for LTL shipping is anything less than 15,000 pounds. It is imperative when shipping LTL to protect the goods you’re shipping. Mere cardboard boxes are not enough. Be sure to crate or palletize your boxes or packages. You should expect your goods to go through multiple transfers throughout the shipment. The following situations are those in which full truckload shipping will be your best bet. FTL shipping is expedited compared to LTL because there are fewer stops. So for last minute shipments or those with a strict deadline, FTL is probably a better option. You might also face customers who prefer to have their items dedicated to a full truck. We recommend handling those customers on a case-by-case basis, as it won’t make sense below a certain limit, even for the good of your relationship with that customer. 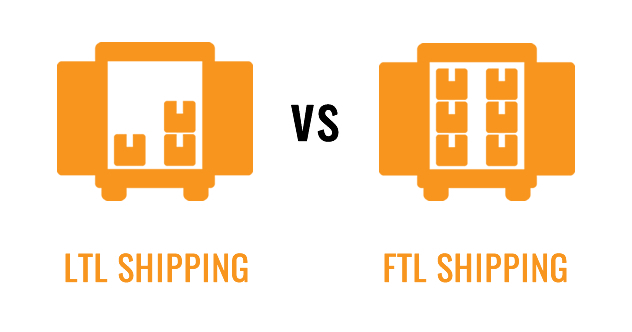 A final benefit of FTL shipping is that because the goods are only loaded and unloaded once (no exchange between trucks), they are less likely to be damaged. Full truckload and less than truckload shipping both have pros and cons, and can be situation dependent. Hopefully this has provided some clarification. We at Prestige are always available to you for more information, so don’t hesitate to enquire. Are Freight Management Services Worth It? Many logistics companies spend most of our advertising budget competing with other brokers and carriers. When it come to freight management services, this is misplaced money. The fiercest competitor of a freight management service provider is the company inquiring about the freight management services. The most popular alternative to outside freight management services is managing freight within a given company. When a company strives to determine whether to outsource its freight management services or keep them in house. The decision makers must ask themselves the following 3 questions. 1. Are your personnel trained to handle freight management? 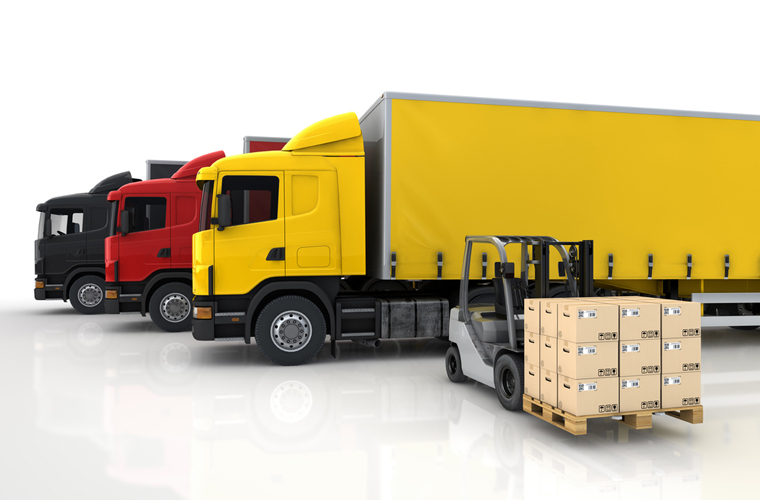 Outsourcing freight management services might seem counter intuitive at first. After all, people send things from point A to point B in their personal lives all the time: letters and invitations through USPS; gifts and necessities ordered through Amazon. But don’t make the mistake of letting the easy nature of shipping in your personal life distract you from nuances that could cost you an arm and a leg when you ship goods for your business. First of all, shipping in the business sense refers to the processes surrounding shipping, in addition to the actual shipping itself. In a word: logistics. In a phrase: freight management services. There’s the pickup and drop-off to coordinate, drivers and trucks to be hired and managed, and crises to be negotiated during traffic accidents or lost or stolen goods. Even isolated strictly to the issues of shipping, there are plenty of choices to be made. And every time there’s a choice, it’s possible to make the wrong one; these odds are increased exponentially when dealing in a category in which you are not familiar. Take for example different shipping modes: small parcel, less than truckload (LTL), produce, partial truckload, full truck. Choosing the wrong shipment type can – and does – result in penalties. While seemingly minor in isolation, a $20 penalty or fee quickly becomes $20,000 when it is unknowingly made over the course of 1000 shipments. As anyone running a large business knows, 1000 shipments can be made in seemingly no time at all! 2. Does your company possess the technological infrastructure to support in-house freight management? Let’s make a laundry list of all the steps involved in logistics, for any and every company with goods to ship. Before shipping: inventory, getting quotes, printing shipping labels, entering data for bills of landing, scheduling pickups. In-transit: monitoring trucks, managing truck drivers, counting goods/boxes at each checkpoint, dealing with inquiries regarding where the goods are. After delivery: issuing invoices, reviewing and confirming invoice rates, properly coding invoice for records, data entry into accounting system, paying the invoice. Freight management services are in the business of managing each and every one of these steps on a daily basis, for hundreds or thousands of companies. For an individual company managing its own logistics, it might make more financial sense to employ someone to do the mind-numbing management and data entry associated with each step in the process. Freight management companies like Prestige Worldwide Logistics can take over each step in the process for you. Using tried-and-true technology for each step in the freight management process, we are able to manage each step for a fraction of the time and money it would take your employees. 3. Do your managers excel at communication – both internally and externally? Partnerships make life and business both more enjoyable…and often more efficient as well. It is all too easy for people in the office to become pigeonholed in their roles. By operating within your own department, it’s easy to develop tunnel vision in the way you approach problems. Companies that have cross-functional team meetings open the forum to solutions from other departments. While it is always advisable to invest in internal communications, outsourcing freight management services removes the need for your company to do that where logistics is concerned. Part of the value you’re investing in with a freight management service like Prestige is the knowledge of how to best combine insights from various departments to save money and leverage systems to minimize time and effort expended. External communications is engaging with your customers to find ways to best collaborate to find where either or both party is operating less-than-efficiently. Then, come up with win-win solutions that allow both companies to enjoy cost and time savings. For example, we’ve realized in several instances that shipping partial truckloads for clients several times a week is not necessary for their customers, because these customers only ship products to their customers once every other week. Additionally, when our client’s customers receive the boxes full of goods from these less than truckload shipments. They must unpack and break down all the corrugated cardboard boxes before repackaging the goods themselves. Because of our external communication, we now ship a full truckload once a week in a sealed truck. This way, we can leave the goods unpacked and save the customer time and energy breaking down and repackaging goods. Consider outsourcing freight management services to put our years of experience to work streamlining your logistics processes. Give us a call on (248) 707-1991 or submit an inquiry today to get started! All sales people are part teachers, in that it is their primary duty to inform potential customers of their product or service. Persuading the client the product or service will add value to the client’s company in purchasing the product is secondary. Our sales team here at PWL is no different. We invest tremendous time and resources into training and educating our sales team members about the logistics industry. They, in turn, spend more time teaching clients about our nuanced industry than they do actively trying to sell our services. The logistics industry is notoriously nuanced and rife with regulatory shipping considerations. Like other fields of business where this is the case — such as IT, law, and accounting — logistics is imposing. People are afraid of what they don’t know or understand, so any employee not directly responsible for shipping avoids logistics. Because the logistics industry, itself, is so technical, most companies assume outsourcing logistics will be a major undertaking. This is not the case! Outsource logistics is much like hiring additional web developers or designers — or outsourcing the creation of your online process altogether. Logistics companies are experts in what we do. This means we have the benefit of a wealth of experience to draw upon. We’ve seen the mistakes you’re inevitably making hundreds of times, and know how to fix them. Outsourcing logistics is a sure-fire way to streamline processes, reduce redundancies, broker better shipping rates, and add to the company’s bottoms line by doing so. Read on for our top five reasons why outsourcing logistics is a smart move for every company with shipping needs. The monetary benefits of switching to outsourcing logistics are many. First and foremost, it saves your company millions of dollars by capitalizing on an infrastructure that third party logistics companies (3PL’s) already have in place rather than investing that money building your own network. Consider the tax and payroll benefits you receive by eliminating a logistics department. Funnel the money saved on salaries, 401(k)’s, health insurance — and the taxes on them — into outsourcing your logistics to experts. Outsourcing logistics also provides you access to significantly reduced shipping rates obtainable only by brokers whose business is shipping the goods of hundreds or thousands of companies. You keep your clients. These happy clients refer their friends so your book of business grows. You no longer lose time or money fixing the mistakes of your truck drivers. All this money goes into the bottom line because outsourced logistics takes the headaches off your plate. It’s common knowledge in the business world that many companies outsource areas like law and technological services (e.g. web design and web development). Studies show that when you pass off your non-core services to experts in those industries, customer service and customer satisfaction improve. Same logic applies to logistics, and doubly so. It’s no secret loss and damages are hazards of the transportation industry. Our customers consistently comment on how much peace of mind it brings them to have a team of crisis veterans fielding these calls and replacing concerns with solutions. Consider why people hire realtors, wedding planners, teachers, etc. These people all are experts in their respective industries and specialize in what they do. An established realtor has sold and bought hundreds of houses; the couple trying to sell their own house will do so only a handful of times throughout their lives. Though realtors charge a commission for their services, it often still results in net savings for their clients: realtors know how to stage the house for photos and walk through. They have connections in the community to secure discounted advertising, and relationships with other realtors that will allow them to get the best deal on the house in a shorter timeframe. Such is the case with outsourcing logistics to third party logistics (3PL) like PWL. Logistics is only one branch of your company; logistics is our company. You will have to learn and train and manage a team to maybe achieve a level of success that resembles our long-established business model. When companies like PWL save you time, you’re able to focus on your strong points. Rather than spending time managing your freight, the 3PL does – we even send morning reports. That’s a lot of soft dollars and time saved. 3PL’s are of value because of the time it takes to manage all a company’s freight from tracking to resolving issues to billing to guaranteeing the satisfaction of your customers. In this day and age where technology rules, it’s imperative to operate nimbly. Logistics companies should be able to adjust their pricing based on economic factors as quickly as gas stations can raise or lower their fuel cost. This is possible only with the advantageous economies of scale available with outsourcing logistics to a broker like PWL. Like everything else, logistics is supply & demand. For example, when Walmart orders a million trucks in a short period of time, that limits the number of available trucks for general freight, which causes fluctuation in rates. PWL monitors that to offer the best options during these times. Our relations with our carriers secure us capacity for our customers. There are several kinds of risks you take when you keep logistics in house. Firstly, at the end of the day, business is about the bottom line. When your company manages logistics, you are likely not capitalizing on the complex rate structures and types of transportation options. Certainly, it is not possible to maintain the shipping discounts brokers like PWL are able to obtain as a result of our economies of scale. Outsourcing logistics ensures you don’t leave money on the table. The second kinds of risks minimized by outsourcing logistics are legal ones. Outsourcing logistics to a firm well-versed in the ins and outs of compliance and regulatory standards eliminates your risk of accidentally violating one and being fined. Additionally, delayed and lost goods happen less frequently, resulting in the happier customers mentioned above. Happy customers continue to patronize your business. Happy customers also do not sue you. Outsourcing logistics is one of the best things businesses can do to improve their workplace quality of life and improve profits. Yet, it is often overlooked because it is incorrectly assumed to be an arduous process. Be one of the smart businesses that outsource logistics, and position your company ahead of competition immediately. The freight industry represents one of the world’s most profitable sectors. The trucking industry alone generates revenue of over $700 billion annually. For those new to or unfamiliar with the world of freight, the specifics can be as overwhelming as the profits are staggering. Let us help you by providing you a place to get a foothold in wrapping your head around the logistics industry behemoth. Read on to learn what less than truckload (LTL) shipping is, and how your business can benefit from LTL shipping services. When the average layman thinks “logistics”, UPS or FedEx come to mind. But these are far from the only players in the shipping industry. In fact, these direct-to-consumer parcel-shipping companies aren’t even the tip of the iceberg when it comes to LTL shipping. LTL shipping services have a unique set of governing practices. We’ll detail the many rules, policies, and cost-quoting practices of the industry below. First, though, let’s give less than truckload shipping some context. We’ll take a look at some basics of the freight industry, introduce you to the differences between carriers and brokers, dive into the nuances of LTL & freight class, and provide you with a crash course in successfully obtaining a LTL freight cost estimate. The freight industry is a global commerce comprised of companies – both domestic and abroad – transporting goods by air, land, and sea. These commercial carriers utilize boats (shipping containers), trains, trucks, and planes to move goods from point A to point B for their clients. At Prestige Worldwide Logistics (PWL), we specialize in truck transportation. Freight transportation by truck can further be divided into the following categories: less than truckload (LTL) or full truckload. For the purposes of this article, we will be focusing on LTL shipping. Carriers and brokers are often mistakenly used synonymously, so let’s set the record straight. Companies that own and operate trucks are known as freight carriers. In addition to truck drivers, freight carrying companies employ dispatchers, dock workers, customer service personnel, and many others. The freight carrying industry includes a range of different types of companies. Some LTL shipping companies are smaller outfits that specialize by region and industry with less manpower. These are referred to as “regional LTL carriers”. Examples of regional LTL carriers include NEMF, Dayton Freight Lines, AAA Cooper, Southeastern Freight Lines, and Pitt Ohio. Additionally, another segment of big-name freight-shipping powerhouses offer shipping services on a national scale. Examples of such Nationwide LTL carriers include FedEx Freight, UPS Freight, XPO, SAIA, ESTES, and RL Carriers. Brokers, on the other hand, do not actually own or operate any trucks. This is a key distinction, and is important to remember when working with brokers. Brokers act as the liaison between clients interested in moving freight, and freight carriers with room on their trucks to do so. Another way to think about the carriers vs brokers distinction is that companies looking to move goods are clients of the brokers. Brokers, in turn, are the client of carriers. Brokers provide value to their clients by offering them cheaper transportation rates than they would be able to obtain on the open market. Brokers consolidate lots of volume for their clients, and therefore receive favorable rates to transport freight from carriers. Much of these savings are passed on to their clients, but freight brokers – like brokers in any industry – make money by taking a portion of each transaction. LTL shipping services are essentially what they sound like. When a business ships its goods LTL, its freight fills less than an entire truck. The industry-specific measurements to be considered LTL are 12 square feet or less of truck space. In other words, six standard pallets stacked upright, side-to-side, as opposed to on top of each other. While it is certainly possible to ship amounts more than this, be warned it will likely result in an additional “overlength” fee. Be sure to request a quote from your freight broker in these scenarios (here at PWL, our contracts with carriers allow us to maintain LTL pricing for up to 28 square feet!). LTL shipping schedules are primarily determined by carrier freight terminals. Such terminals are owned and operated by freight carrier companies. The first step in the shipping lifecycle begins when a company’s goods (the shipment) are picked up by a freight carrier and carted to the origin carrier freight terminal. The location from which the shipment is picked up is always known as the “shipper”. Next, the shipment will be unloaded from the first, local truck and reloaded onto a second truck who delivers it to the next carrier terminal. The final drop-off point is referred to as the “consignee”. The cycle proceeds like this until the shipment arrives at its final destination. It may be helpful to think of the shipping process like a track team running a relay race where the runners are the trucks, and the baton is the shipment. Freight class of the goods being shipped is the primary criterion that determines the cost of shipping services. An object’s freight class is based on either its NMFC number or the density of the item. The resulting freight class number spectrum ranges from 50 to 500, where 50 is the least expensive cost of shipping, and 500 is the most expensive. Because so much rides on the accuracy of the shipment’s freight class, it is best to let your broker handle it if you aren’t absolutely certain. Important to note is that standard less than truckload shipping services cover the cost of business to business or dock to dock. There will almost always be additional charges for shipments either picked up or dropped off at a residence. The shipping industry is a complicated one that takes time and experience to learn. Even LTL shipping is a nuanced branch of the freight industry. Hopefully, using the information obtained from this blog, you now have the knowledge and confidence to get started. As you learn more and gain more first-hand experience, return to the PWL blog to delve into a wide range of topics! on one of the strongest networks in the industry by submitting your request below. Notes: Make sure you select all Origin and Destination Services that apply to your shipment. For instance, if you submit a freight quote request and do not specify that a Lift Gate Service is required the carrier will not be able to complete the shipment and you may be charged additional fees for re-delivery or re-pickup. E.g. if 20/40/45’ …. Type in ocean line like Maersk, Hanjin, OOLU, Med Shipping, etc. Where does the loaded equipment return too ? Thank You. Your request for a quotation has been submitted. For immediate assistance and quotations please utilize our Live Chat feature.